At least 12 people, mainly military personnel, have died and more than 30 wounded after an attack by the Taliban, a military base and police training center in eastern Afghanistan, according to an Afghan official. Some of the injured are in provincial hospitals, while the more serious cases are dealt with in Kabul, said Salem Asgherkhail, head of the area's public health department. 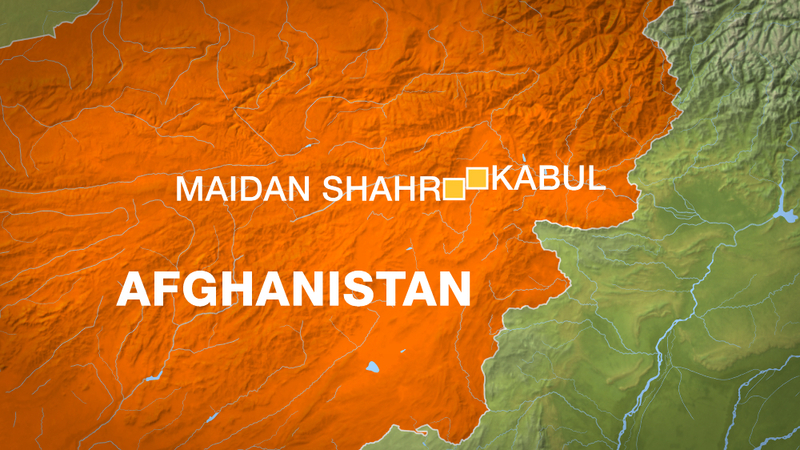 The coordinated assault began at 7:00 am local time (02:30 GMT) with a car bomb that detonated at the gate of the base of Maidan Shahr, the capital of Wardak province, according to Nasrat Rahimi, the vicar's spokesman for Interior Ministry. The armed Taliban warriors then moved in, a tactic that the group has used in many previous attacks. Maidan Shahr is about 44kms southwest of Kabul along the Ghazni-Kabul highway. The attack comes one day after a Taliban attack in the neighboring Logar province killed eight security forces. Talib has been on the offensive in recent months and is attacking targets around the country in an apparent effort to expand their influence and perhaps gain more leverage in future peace talks. According to data from the US Special Inspector General for Afghanistan Reconstruction (SIGAR) controls or combats nearly half of Afghanistan. Since July, the United States has attempted to restart a peace process with the Taliban. US officials have met Taliban representatives in a number of countries. The Taliban have refused to meet Afghan officials and call them "puppets". US Senator Lindsey Graham of Pakistan Sunday said President Donald Trump was to meet as soon as possible the Pakistani Prime Minister Imran Khan to reset long-standing US relations with Pakistan and push for a peaceful settlement in Afghanistan. US relations with Pakistan have been strained by suspicions that elements of the Pakistani establishment helped to help the Taliban, a charge that Islamabad strongly denies. However, relations have shown to improve in recent months in the efforts to push the Taliban into a peace agreement.